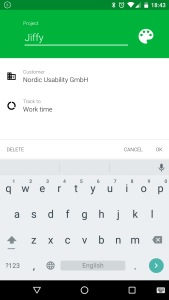 We added support to select to what you track a certain customer, project, task. That means that you can now log those non-billable hours, pitching for projects, doing hobbies, exercise or what ever it may be. In the first iteration, we are introduced two different tracking schemas: Work time, and Non Work time. By default, all of your existing Customers, Projects and Tasks are tracked to Work time. You can change it in Projects -> Project info -> Edit. 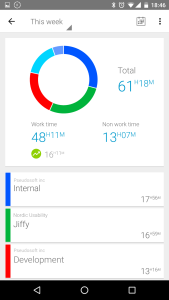 The totals for Work time / Non work time are available in your Summary screen. 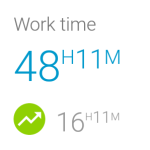 Hourly balance is now displayed just below the work time total. 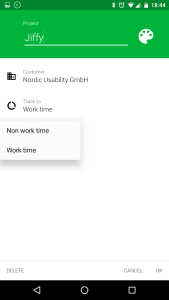 Now you will be able to keep track of both work time and non work time activities, without messing your Hourly balance times up.